On Friday, January 23, 2015 a group of anxious adolescents, ages 11 – 13, gathered to start Social Arts 101. By the time they left, just one and one-half hours later, the majority were relaxed and keen to return for the next lesson. As the class began, Social Arts Director Carolyn Stine McLaughlin and the Peer Chaperons assisted the young ladies and gentlemen in choosing a seat in the large circle in the center of the room. Lesson 1 began by Ms. McLaughlin asking the group “How many of you were eager to come here tonight? Raise your hand if you were.” No hands were raised. Following a discussion of the benefits of good manners, a roll-playing exercise on how to introduce yourself and a discussion on the correlation between the use of “Please” and “Thank you,” and more independence and responsibility, the mood in the room was noticeably calmer. The final activity of the evening was instruction in the Box Step. 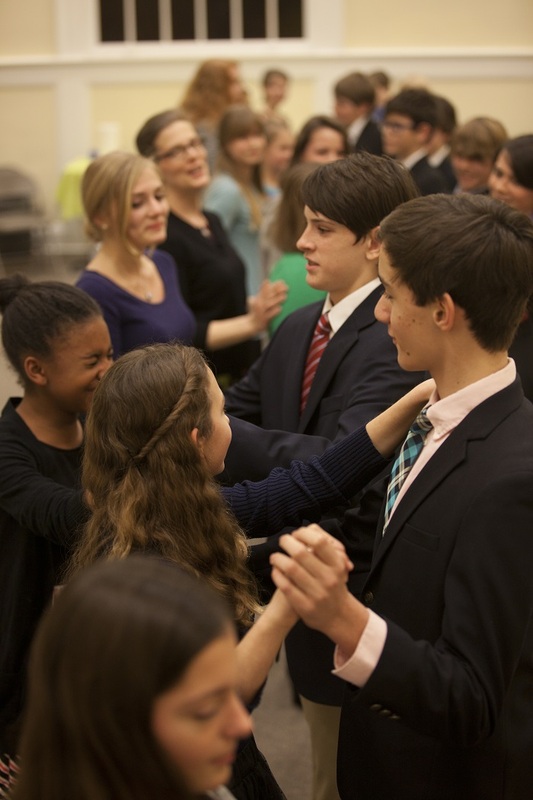 This most basic of social dances enabled the students to learn the dance frame, what it means to lead and follow and that dancing with a partner can be fun. After several minutes of learning the components of the dance the ladies and gentlemen made couples and danced with music. By the end of the lesson, they had changed partners numerous times and became comfortable with the movement. Lesson 2 for this session of Social Arts 101 will be on Friday, February 20. The students will return for a review of the first lesson and then move on to introducing others, when to stand and where to walk and then finish the lesson by learning the Merengue.